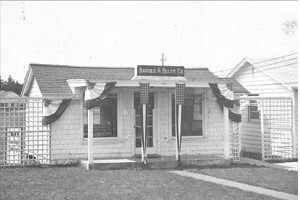 ALLEN Realtors® was founded Oct. 1, 1940, by Harold A. Allen , Sr., a recognized Tacoma businessman and civic leader. Originally located in downtown Tacoma, Mr. Allen utilized proven marketing and sales skills to attract a core group of established advertising, sales and financial people under the banner of "Allen's Finer Homes." Within years, the firm was an acknowledged leader in the industry. Since 1940, the underlying concept of ALLEN Realtors® has been attracting a cohesive group of independent sales associates who possess integrity, professionalism, knowledge and service to their community. Harold A. Allen, Sr. and Harold A. Allen, Jr., are both past presidents of the Washington Association of Realtors and current president Mike Larson served as the local association president in 2011. ALLEN Realtors® agents have served as president of the Tacoma-Pierce County Association of Realtors five times and many others have spent years serving on other association and community committees. With its present staff of professional sales associates, complementing each other with their individual expertise and special knowledge, ALLEN Realtors® agents give continued proof that an independent organization of proven sales leaders is the most effective means of serving the housing needs of home buyers and sellers in the South Puget Sound region. ALLEN Realtors® are a cohesive team of dedicated, committed real estate professionals serving the greater Puget Sound area. Our customers are our most prized properties, for without them we would not exist. We treat our customers with respect, honesty and professionalism, and cherish the trust they have given us in handling one of their most valuable assets. ALLEN Realtors® is a forward-thinking company which embraces technology, implements innovative programs, strives for excellence and respects the independence of its agents. Our purpose is to make every transaction profitable for all parties involved, while striving to exceed our clients’ expectations with high quality and long term service. 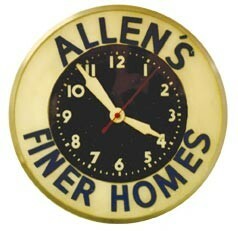 View the ALLEN Realtors® on-line brochure (2.2 MB .pdf file). You must have Adobe Reader to view the on-line brochure.